The Lanesborough offers 93 beautiful rooms and suites in a prestigious location on the borders of Knightsbridge and Belgravia and on Hyde Park corner. In summer 2015 the results of The Lanesborough's year and a half long closure were revealed. The upgrade was led by the late interior designer Alberto Pinto who passed away before the project's completion - his contemporary update of the opulent landmark remains as his legacy. Bedrooms and dining rooms have been restored to their original Georgian splendour, there's a refurbished spa, fine French dining in a Venetian-style dining room in the restaurant, Celeste, afternoon tea, cigars and cognacs in The Garden Room, and all mod cons with in-room digital services putting the latest technology to (very discrete) use. Are you booking for a group of people? If you are making a booking for a group of people and require over 10 rooms, you may prefer to speak to the Group Booking Department for The Lanesborough bookings. Special deals can be arranged for groups, including discounts and arrangements for adjacent and inter connecting rooms if required. Call the Groups Reservations Department on 020 7292 2307. The best way to book a group deal is to complete the online form for group reservations at The Lanesborough. What are the best dining options near The Lanesborough London? The Lanesborough gyms, sporting activities, health & beauty and fitness. The best pubs near London The Lanesborough. 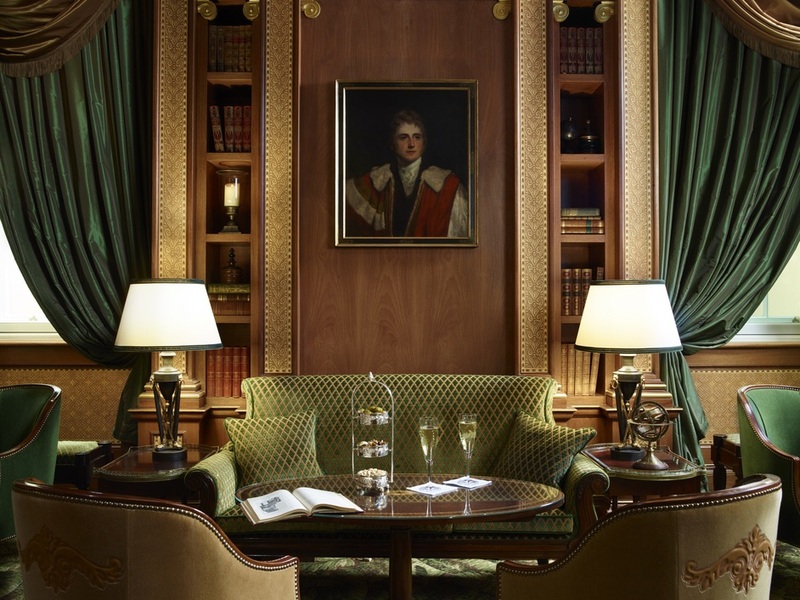 The Lanesborough clubs, bars, cabaret nights, casinos and interesting nightlife. Where to have your meeting, conference, exhibition, private dining or training course near The Lanesborough. From cheap budget accommodation to luxury 5 star hotels see our discounts for The Lanesborough hotels, including London Hilton on Park Lane from 95% off.